Two weeks ago, we as a country celebrated Valentine's Day - where the focus is on love and showing it to those we care most about. As I think about that it saddens me to see a holiday focused on something we as believers are to live by day in and day out. Yet, somehow it too slips through the proverbial cracks and we need reminding of how important it is to seek His love and share it daily. I look at the graphic above and my heart feels full of joy. Love bursting out of itself - fruits of the spirit for all to taste and see how good He is. Love in action. Choosing love above all else. You can either choose to live in Him or out/away from Him. Some sadly live near Him. Which is truly not partaking of His love to the fullest and surely unable to rest in His love, nor can that person experience the true peace of God or His grace! We can talk about love all day long and yet not experience it deep in our hearts where it matters most. We can tell our children how much we love them with our words but our actions tell them a whole different story. We can either love them as God commands or we can believe we are loving them enough in our own ways. You may have really struggled with the last few posts and the idea that disciplining your children God's way is telling them you love them. You may have struggled with the idea of first time obedience and expecting it no matter what. That doesn't change the truth about God's way or His love for us and our children. God asks us to speak and act in truth and love. Speaking in truth and love - is sharing His words with everyone we speak to. We are to speak life into those around us. Especially those we love the most...because they are our church first and the greatest opportunity to build disciples of Christ. One of the books I have used to teach our children very valuable lessons and bible verses that will help keep them on His path and to show each other love - is My ABC Bible Verses: Hiding God's Word in Little Hearts. A few weeks ago I spent over an hour reciting all the verses they have learned before and how they can use them to speak truth and love to each other. Here are some ways they are not keeping their tongues from evil - telling lies, tattle tailing, talking back (which is arguing/complaining), saying mean things, making rude sounds. 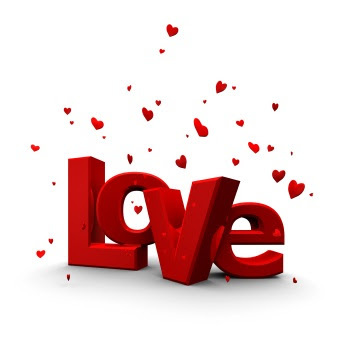 Because love is so important to God and thus important to us as their parents we are going to focus on love not just during February but all year through. We are going to work on living out the fruits of the Spirit - joy, peace, long-suffering, kindness, goodness, faithfulness, gentleness and self-control. Which is the outworking of our faith and His love in us! What I shared with the children is this - notice God did not say "blessed are the liars, tattle tailers, arguers, angry, or mean." Not to mention when any of them do these things - they are breaking our second rule: Don't hurt anyone on the inside or outside. Angry, mean, and lying words hurt. They often break a heart for a long time. They can take a long time to forget. They often hurt worse than being hit. The sting lasts much longer too. Thus, God reminds us to be slow to speak and quick to listen. If you aren't talking you can't sin against the other person or God. 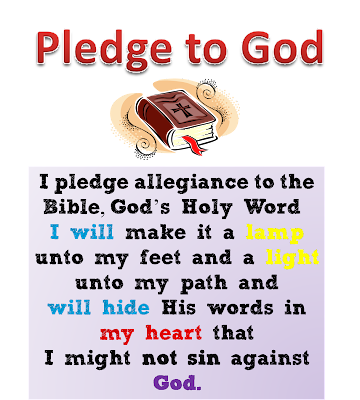 We recite the Pledge to God often in our home. Not to be rout but for remembering why we want to hide God's word in our hearts, allowing it to be a path unto our feet. It is a reminder to the children that they have chosen to live their lives for Him - by Him and in Him. 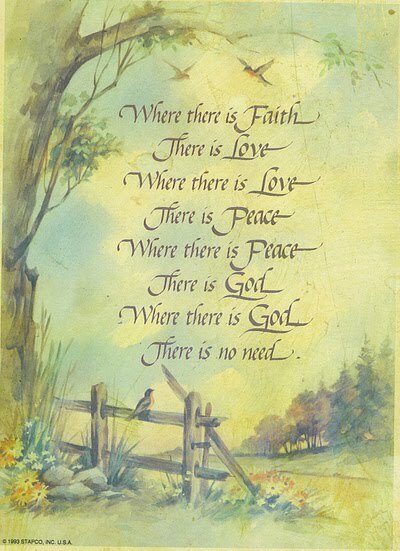 Without Him (or apart from Him) we can do nothing. So when they are relying on their own righteousness or ability to obey they will mess up. But when they are walking in and living by the Spirit - they will live up to God's standards every time. ALL THINGS are POSSIBLE with GOD! 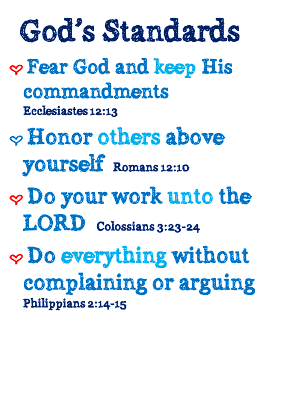 Again, you may not agree with me, however, what I am sharing is not my opinions or how I see things - this is His truth and commandments to us as parents to His children. And agree or not doesn't change what the truth is and how we are to obey Him - if we say we believe then we must live out our belief fully in who He is -His way. I was reminded as I reviewed all of the verses we have learned again this year so far: A - K how important it is to teach and show our children how to bring their hearts naked before God - knowing how much they need Him to fill up their hearts with His love. I shared with the children - "why is it so important that we hide His word in our hearts? So that we might not sin against Him or each other." How can we speak in truth and love? I asked them. By the very words we have hidden in our hearts. Reciting the verses they know to each other instead of using their mouths for evil. Instead of telling a lie, tell us the truth. Instead of tattle tailing, hold their tongue and pray with their brother/sister words to live by to help them make a better choice next time. Instead of talking back, remember Philippians 2:14. Instead of using their words to hurt, remember Proverbs 15:1 and Matthew 5:9. See it is His love they are sharing and living by. They are relying on Him and not themselves. I pray this becomes normal for them after practicing it over and over again. For now I'm reminding them to stop sinning and to focus on His love - speaking it in truth! Ephesians warns us to not grieve the spirit. A great way to help us teach this and live to honor God in all we do - is to pray these verses over yourself and children regularly. Ephesians 4:25 - 32 says, "Therefore, putting away lying, “ Let each one of you speak truth with his neighbor,” for we are members of one another. “Be angry, and do not sin”: do not let the sun go down on your wrath, nor give place to the devil. Let him who stole steal no longer, but rather let him labor, working with his hands what is good, that he may have something to give him who has need. Let no corrupt word proceed out of your mouth, but what is good for necessary edification, that it may impart grace to the hearers. And do not grieve the Holy Spirit of God, by whom you were sealed for the day of redemption. Let all bitterness, wrath, anger, clamor, and evil speaking be put away from you, with all malice. And be kind to one another, tenderhearted, forgiving one another, even as God in Christ forgave you." Ephesians 5:1-2 says, "Therefore be imitators of God as dear children. And walk in love, as Christ also has loved us and given Himself for us, an offering and a sacrifice to God for a sweet-smelling aroma." It is important that your children know that you don't expect them to be perfect. We all need Jesus. We all need His grace! However, you do expect them to press on towards the goal of Christ Jesus, to run the race by faith and that no matter what comes their way, they can do everything through Christ who strengthens them. They will reap what they sow and will be known by their deeds. Love is a choice - help them to learn how to choose it the first time, every time, right away. Obedience is the ultimate act of love - first to God and then to us as their parents. None of us are working for His love - we are working because of it - from it and by it! There is nothing your children must do to earn His love or yours. 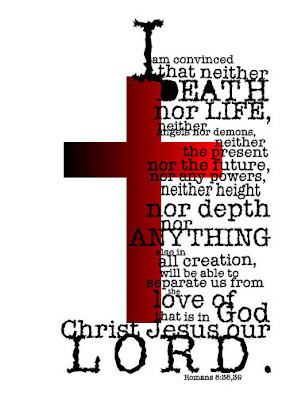 His love - is! His love will always be. God is the original heart doctor isn't He!!!! "God is love" is the second verse we teach our children. And as they get older we focus on the IS of the verse. GOD's love isn't a feeling, it is who He is. Just as he is Just and Pure and Holy. And we also teach them early on that since God is love, it is WHO He is, that love doesn't lessen or increase with how we behave. There is nothing we can do to make Him love us more and there is nothing we can do to make Him love us less and that is how we should love others: for who they are and not who we expect them to be. This really shines through when a conflict arises as we help them to see that our love does not waver just because someone upsets us and therefore we should still treat them with respect and love even in the mist of anger. After all the third verse we teach them is "While we were sinners, Christ died for us" Now that is the greatest example of Love!!!!! Thanks for sharing the Pledge to God. I think we might add that to the beginning of our day!!! Thank you so much for sharing all of this, I found this link on Pintrest, this year I will be returning to the classroom in a Church school and I will be using this blog page as an excellent reference for the first week of school. I appreciate all that you have done. 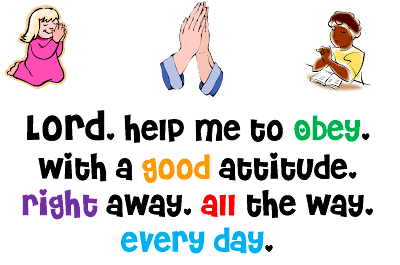 I have been looking for a great prayer, or scripture that was unique that we could use each day. I think your obedience prayer is perfect! This is such a wonderful reminder for our little ones about what's most important- in our homes and in our lives. I'll be adding some of these ideas to our morning meeting board as a visual reminder for all of us. Thanks for this post.